The TP-580RXR is a 4K UHD, extended range, HDBaseT twisted pair receiver for HDMI, bidirectional RS-232 and IR signals. 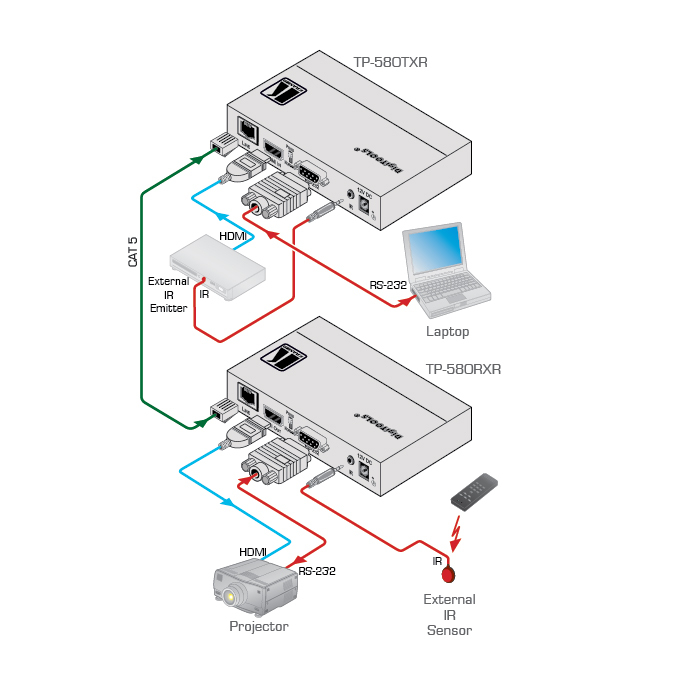 The TP-580RXR receives an HDBaseT twisted pair signal from the TP-580TXR and converts it back into HDMI, RS-232 and IR signals. The device supports resolutions of up to 4K@60 UHD (4:2:0). Resolution Support - Up to 4K@60 UHD (4:2:0).